I just used this product on both the leather upholstery of my car and a leather chair in my home. 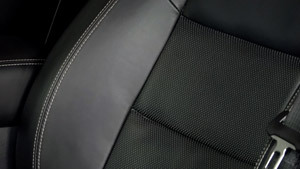 Between the two applications, there were at least three levels of leather quality and surface types. In every instance the end result the leather looked new again and felt softer. On the car seats and steering wheel, it was like the clock was turned back to when the car was brand new. No other combination of separate cleaner and surface protectant offers the same results. ProsGreat looking finish. Very good cleaning and conditioning properties. Used this product on the leather seats in my Mustang in preparation for winter storage. Easy prep and application achieves the desired result. I am definitely a satisfied user.